We’re facing a shortage of skilled plumbers. With an aging infrastructure and dwindling trade workforce, the demand for plumbers has never been greater. In fact, the Bureau of Labor Statistics predicts that plumbing jobs will increase at a faster than normal rate over the next 10 years. With the right training, you could enter and build a scalable career in this high-demand field. If you want to work as a plumber, the Foundations of Plumbing course will teach you the fundamental, job-ready skills relevant to the plumbing and piping industry. In this self-paced course, you’ll learn how to work on modern plumbing systems from in-depth course material developed by industry experts and employers. By course completion, you will possess the specialized skills and technical knowledge needed to start a career in plumbing. Basic concepts of plumbing safety and safety procedures for material and equipment use. The function of components required for the construction of standard piping and water supply systems. The use and meaning of specialty drawings associated with construction detail. The application and installation of standard plumbing fixtures. To identify piping materials and fixture types used in plumbing work. To perform essential math functions, calculations, and interpretation of plumbing codes required to complete standard plumbing services. This course lays the foundation for starting a plumber apprenticeship or advancing your career in plumbing. You will learn how to perform all aspects of the plumber’s job including water pipe sizing; cross-connection protection; sewage disposal; and servicing water heaters, drainage fixture units, building drains, and stacks. You will also learn applicable professional skills necessary for working with clients or starting your own plumbing business, including communication, differences between residential and commercial plumbing, and career path possibilities. With real-world examples and hands-on lessons, this course is valuable for anyone entering or already working in the plumbing industry. XLIII. Customer Service: Why Do It? PC: Windows 10 or later operating systems. Access to state-wide plumbing codes is beneficial to building familiarity with the codebook. 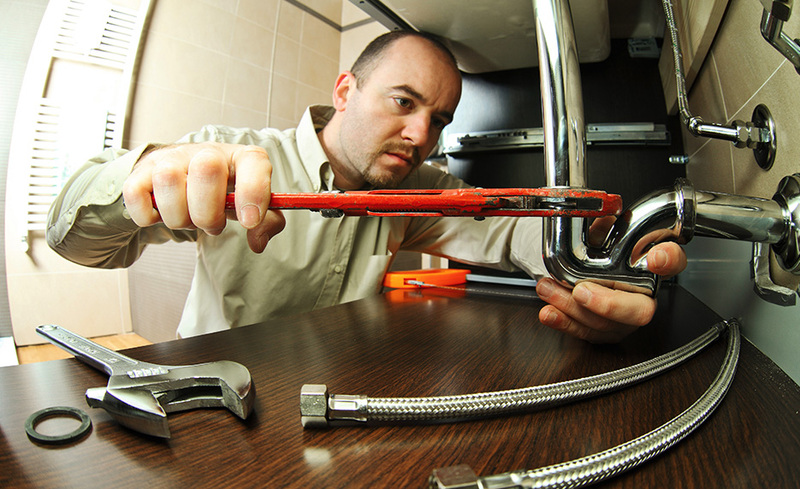 Adam Seek has more than 25 years of experience in the plumbing industry. He is a licensed plumber, pipe-fitter, instructor, and maintenance/service technician with an excellent track record of success in safety, quality control, planning, development, and project management. His career in plumbing started at a young age, when he first joined his family’s plumbing business. He then went on to a four-year program where he was awarded for his aptitude and academic achievements. ed2go courses are non-credit, so they do not qualify for federal aid, FAFSA, or Pell Grant. In some states, vocational rehab or workforce development boards may provide funding to take our courses. Additionally, you may qualify for financial assistance if you meet certain requirements. To learn more about financial assistance, click here.